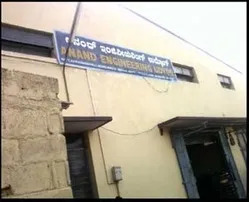 Based at Bangalore,'Anand Engineering Udyog', established in 2005 is engaged in manufacturing and supplier of a wide range of packaging materials using Biomedical Waste Collection Bags, Biohazard Waste Bags, Trash Bags, Zip Lock Packaging Bags, LDPE Plastic Rolls. 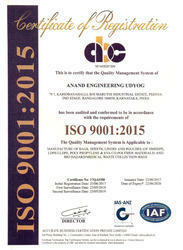 We were established in the year 1983-84 as a proprietary unit by Squadron Leader R. N. Ananda Gupta (Retd.) and since our inception, we have been successfully catering to the requirements of commercial, industrial and agricultural sectors. 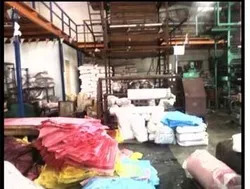 Our range of products like agricultural packing materials, anti-static bags, anti-static bags, anti-static poly bags, anti-static plastic bags, zipper anti-static poly bags, plastic packaging materials, polyethylene packaging bags is manufactured under the guidance of a team of experienced professionals who hold years of expertise in the concerned sphere. These individuals hold proficiency in carrying out processes such as catalytic polymerization, shearing, extrusion and others. To live up to the expectations of our clients, it becomes essential for us that we should supply our range of packing materials as per the specifications laid down by them. This is the reason that we have adopted latest manufacturing machines to tailor our range. 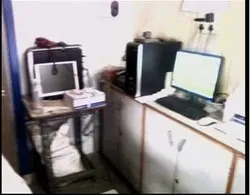 These machines are technically upgraded so as to keep apace within our manufacturing processes. As a customer-centric firm, we make sure that our clients face no hassle while doing business with us. To their convenience, we have facilitated them with easy payment modes, customization of our range and time bound deliveries. We were founded by Squadron Leader R. N. Ananda Gupta (Retd.) as a proprietorship firm as a manufacturer and trader of High-Density High Molecular Polyethylene (HM-HDPE), Linear/ Low-Density Polyethylene (LDPE/LLDPE - packaging materials. His visionary approach helped us in achieving newer heights of success. We are currently led by our proprietor Murali Anand Gupta who holds a post-graduate degree from ICWAI. He holds an experience of 15 years in the arena of plastic industry and holds expertise in financial management, shop floor & production management of thermoplastic film extrusion & injection molding technologies. He continues the visionary trend set by Squadron Leader R. N. Ananda Gupta (Retd.) and has risen to become the proprietor of this company from the year 2004. He also oversees the financial management, shop floor & production management departments of the company along with his dedicated team of professionals. Canal & Pond Linings Etc. We have hired in a pool of experts from various locations of the country who has helped us in achieving the desired heights of success. These individuals hold excellence in their respective domains and work in the most professional manner. Our team is led by chemical and plastic engineers who are well versed with the techniques required to carry the processes of catalytic polymerization, shearing, extrusion, molding, recycling, coating and thermoforming. A team of mechanical engineers holding proficiency in handling machines assists us in operating the printing and other machines efficiently. Adding on, we have a team of quality controllers who keep a close eye on the whole production process. They scrutinize the whole process right from the procurement of the raw material till the final dispatch to makes sure that there remains no flaw in the range of packing materials supplied by us. Our sales and business activities are looked after by a team of management professionals who hold experience in the finance and sales arena. A team of skilled labor is an inseparable part of our team as it helps us in carrying the basic processes related to manufacturing.